“M’s ville - Sacred Grove - Center for Yogic Studies and Exploring Consciousness” located at 302 Racetrack Rd, Graham, TX 76450. We have announced Sri M’s 2019 US program. As part of this year’s program, our goal is to organize all the retreats at M’s ville – Sacred Grove. We will be aiming to complete construction of the Meditation Hall and Kitchen/Dining area by end of July this year to be able to hold the retreats at the Sacred Grove. Sri M will be leading the retreats and meeting with attendees in this hall. It will be roughly 2400 sq. ft. and can accommodate about 125 people. 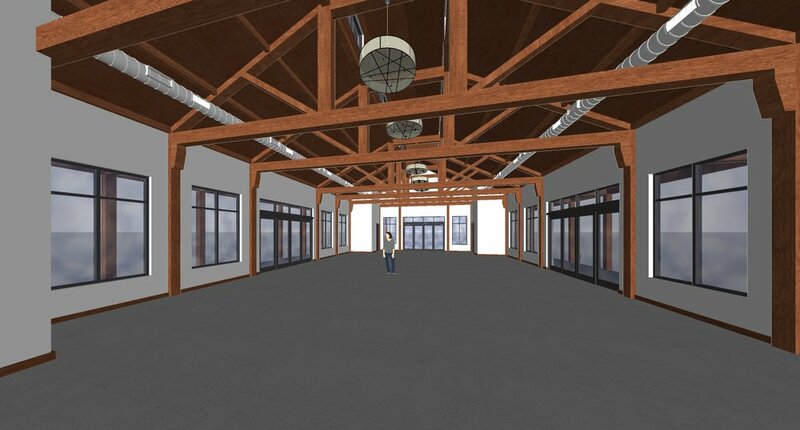 It will be a hall with plenty of natural light and beautiful views of the setting sun. The hall will have an attached open deck (to be added later on) in the west of about 1200 sq. ft. The kitchen and dining area are being built to be able to cater to about 175 people (we expect that when CYSEC is fully developed, this will be the capacity that we will need to support. Construction work on Meditation Hall and Kitchen/Dining Area will commence imminently. We will start posting updates on our progress with the construction in this space. Stay tuned.